The college has constituted an Environmental Cell to make the student teachers aware about the environmental issues and challenges and inspire them to disseminate the information and sensitize the school children and the society at large about these challenges. To sensitize the student teachers about the problems of pollution. To inculcate the sense of responsibility towards the development of planet Earth and appreciation of its beauty. To providing opportunities to acquire knowledge, skills, attitude, commitment to preserve the environment. To make them understand the interdependence of economic, social and ecological factors. To train the student teachers to impart environmental education to school children through curricular and co-curricular activities. The cell organizes workshops, nature trails, talks and seminars. Student teachers also conduct assemblies related to environmental issues and sustainable living on days of environmental significance. They display posters, news articles and quotes on the bulletin board. 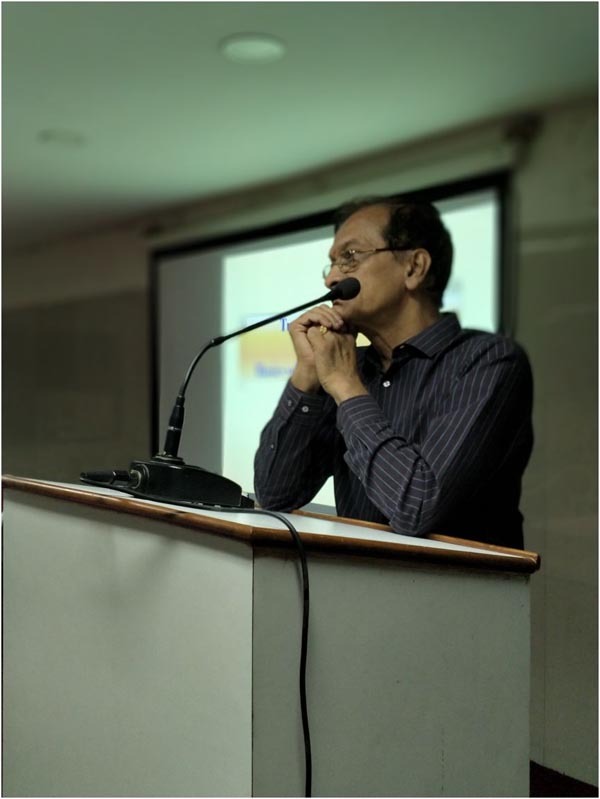 Petroleum Conservation Research Association conducted a Talk on ‘Teacher’s role in Conservation of Petroleum fuels and reducing Global Warming’ in the college on 5th March, 2014. As part of SUPW activity student teachers made Paper bags and distributed it TO THE general public at Bandra Station. Assemblies on days of Environmental significance included activities promoting environmental awareness. 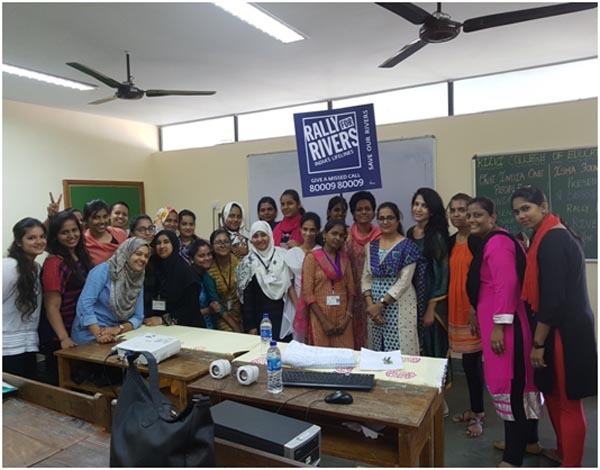 The student teachers of the college participated in the workshop ‘Multiply the Message’ organized and conducted by Trailblazers aiming at imparting Environmental Education as well as providing training in Innovative Methods of Teaching Environmental Sciences. 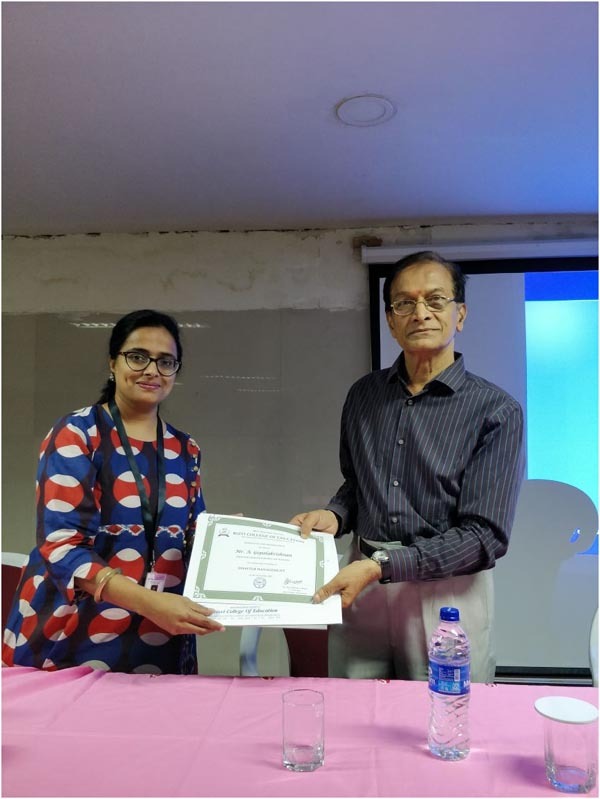 The theme of the workshop was ‘Water – Every drop counts’. 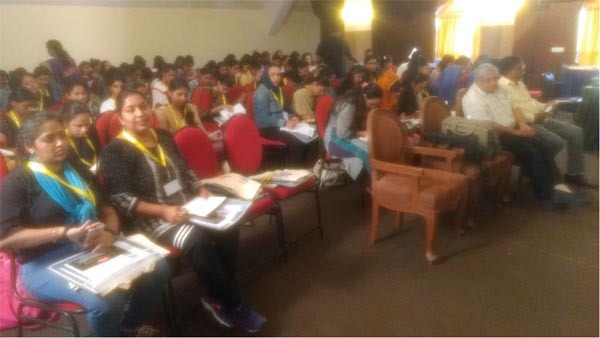 Student teachers participated in the workshop ‘Multiply the Message’ organized and conducted by Trailblazers aiming at imparting Environmental Education as well as providing training in Innovative Methods of Teaching Environmental Sciences. The theme of the workshop was ‘Climate Change- Give Earth a Chance’. 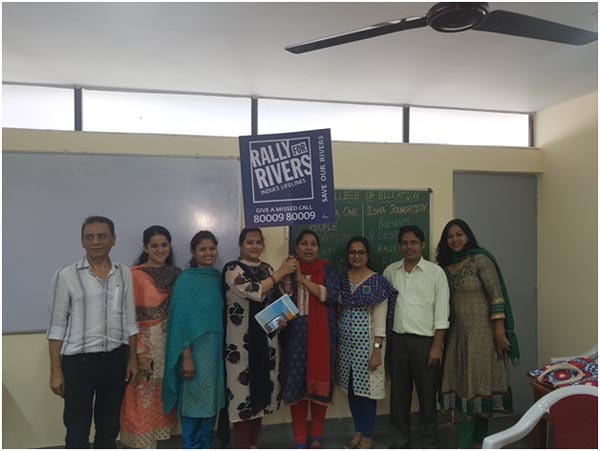 In August’17, a seminar on “Save the Rivers” was organized by the ISHA foundation which is a non-profit, spiritual organization founded in 1992 by Sadhguru Jaggi Vasudev in continuation with their campaign “Rally For Rivers”. Student teachers conducted various activities on environmental issues and sustainable practices during assemblies. Bulletin boards displayed posters, articles and news items on issues and matters related to environment. Principal Madam, Dr. (Mrs) Radhika Vakharia with her student teachers (S.Y.B.Ed. 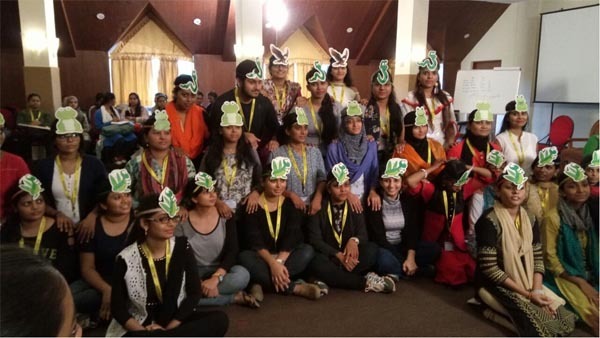 2015-2017 Batch) at “Save The Rivers” seminar. 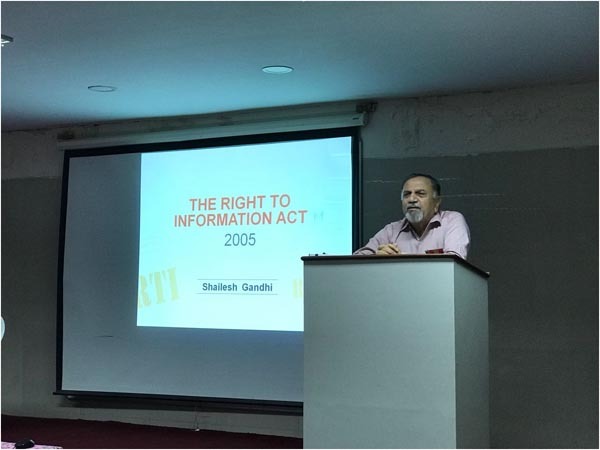 Right to Information (RTI) is an Act of the Parliament of India to provide for setting out the practical regime of right to information for citizens and replaces the erstwhile Freedom of information Act, 2002. Under the provisions of the Act, any citizen of India may request information from a “public authority” which is required to reply expeditiously or within thirty days. The Act also requires every public authority to computerise their records for wide dissemination and to proactively certain categories of information so that the citizens need minimum recourse to request for information formally. This law was passed by Parliament on 15 June 2005 and came fully into force on 12 October 2005. 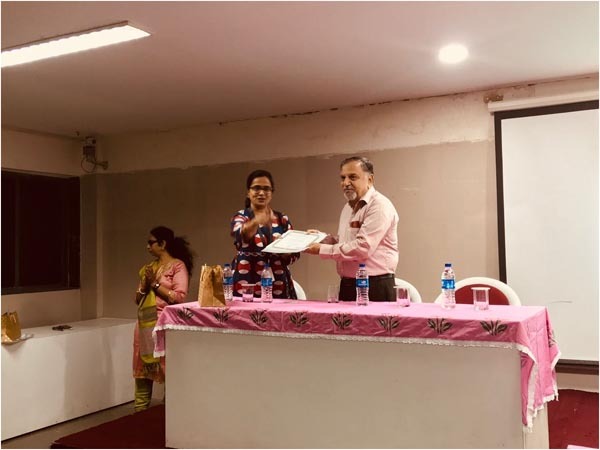 The first application was given to a Pune police station. Information disclosure in India was restricted by the Official Secrets Act 1923 and various other special laws, which the new RTI Act relaxes. It codifies a fundamental right of citizens. Mr. Gandhi gave a detailed explanation about the right and its importance. He went on the discuss the impact of this act and how one can file the RTI. It was a very enriching session which gave us the insights of the Act by understanding the hidden clauses. The talk was organised by The Public Concern for Governance Trust is a registered trust, founded by some a group of citizens having the experience and the expertise to access legal solutions, mobilize public opinion for larger participation in the cause of good governance; to ensure just and transparent implementation of the law. It upholds and supports any effort made by common man against undue exploitation. In this workshop, Mr. Gopalakrishnan gave some valid situations and discussed the process of escaping from a disaster, possibly unharmed. His examples and situations were relatable and his plan of action for each disaster were practical and well demonstrated. 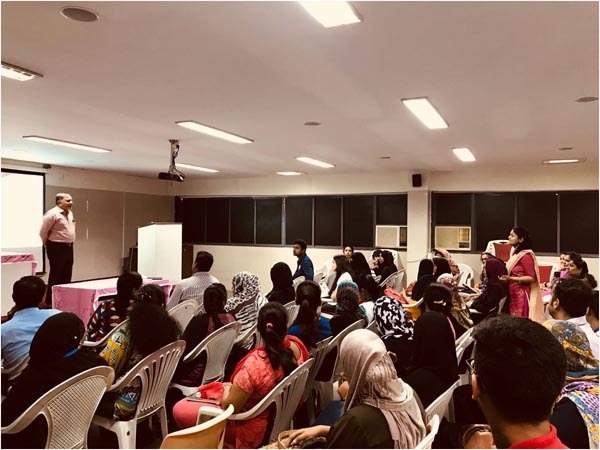 This workshop was organised by One India One People Foundation is a not-for-profit organisation, set up by the late Mr. Sadanand A. Shetty, an industrialist, in August 1997, coinciding with India’s 50th year of Independence. The purpose of the Foundation is to build awareness about various issues concerning India, in order to bring about a systemic change.